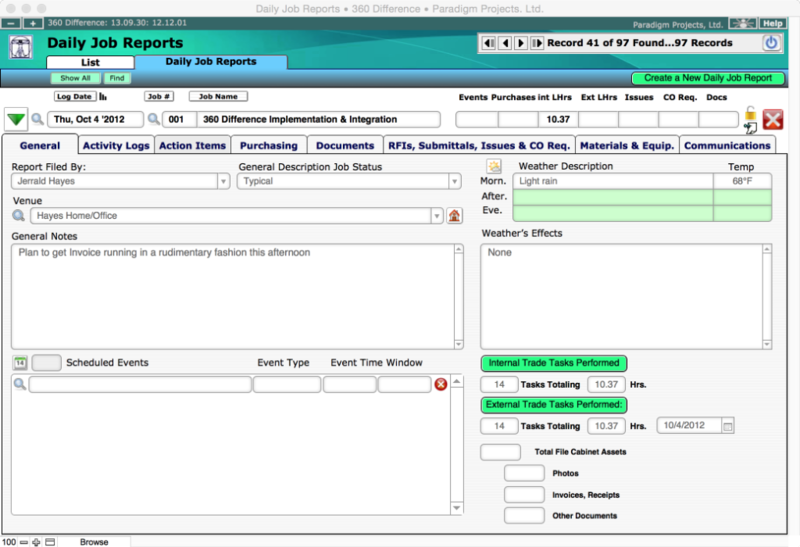 With 360 Difference Daily Job Reports you can easily keep track of timecard information about the tasks and time your employees putting in on the job as well as tracking other data such as the equipment rented, the materials purchased and delivered to the project, the subcontractors on the job, the weather, and photos and videos of what actually was done. 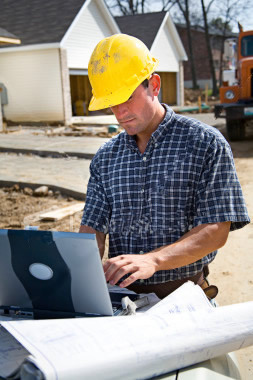 With the 360 Difference Production module tools a contractor can review and evaluate information collected in the field via our Daily Job Reports feature running on a laptop, iPad or even view that information as it’s collect in real time if the solution is remotely hosted in on one of our servers in the cloud. The 360 Difference Production Module takes you from handwritten construction logs and brings you into the real time digital age. Users have the option of entering Notes and To Do List items either by dictation or keyboard. With the 360 Difference Production Module you organize and track budgets for different job phases or work orders. Generate Purchase Orders to track committed costs from material suppliers and/or subcontractor bids. Use the 360 Difference Purchase Order system to help prevent overpaying a subcontractor or materials supplier and in doing so keep the CostBook records in your 360 Difference Estimating program up to date. 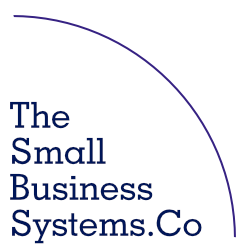 You’ll be Job Costing your project in real time as it happens. Our Daily Job Report module is a separate standalone app that will run on a Macintosh or Windows laptop computer or an iPad (requires a FileMaker Go for iPad license) and can record job information in real time in the field via a connection to the 360 Difference System served on one of our cloud servers or just record information for syncing later with your locally hosted version of 360 Difference. Look Ahead Planning — Build a ‘Lean’ and ‘Agile’ work plans with look ahead items. Personnel On Site — Record who is on site, your crew personnel as well as the names of sub-contracted trade employees and track the tasks they perform as well as their times for those tasks for billing and/or job costing purposes. 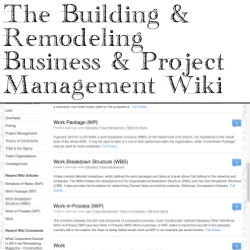 Project Issues — Build and record a list of project issues such as items like weather delays, mistakes or errors, material shortages, service issues, etc. Weather — Track job site weather. Safety & Other Incidents — Track and record events that affect production such as injuries or construction errors. Project Documents & Photos— Track and file digital jobsite photos and documents essential for company protection and client communication. Visitors — Record site visitors such as clients, inspectors, design personnel, cleaning staff, dog walkers, solicitors, curious neighbors, etc. Equipment — Track equipment and tools on site. Change Orders — Generate Change Order Requests from the field as problems are encountered or clients clients request changes or make material or color selections.